try to take care of my expenses and I still help my ex out.There was a time when business was getting better I had a great feeling within that this was exciting and also a blessing from God.It didnt last long but I still managed to pay my bills.I still have some old debt that I owe and will oneday payback.I pray each day that God will open doors for my business allowing me to grow again and feel better about my self to be a better provider.I appreciate any prayers for my business ,and as I tell God I own nothing just a care taker of his things. God bless you. I praise Him and thank Him for you all and everything He is doing for me and my family, in Lord Jesus’ Name. 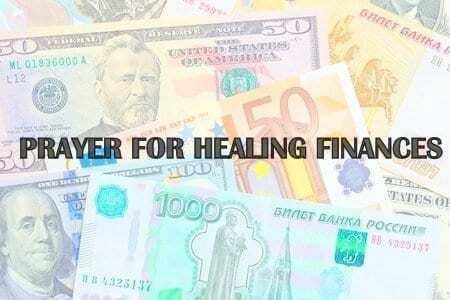 I am praying for healing of my finances and my family’s this season.Expecting Father God to bless us abundantly,to heal our finances ,inheritance and relationships.He is a Good Good Daddy :-). 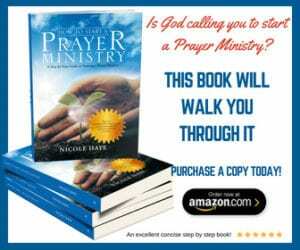 Please keep us in your prayers.Your website is inspiring and anointed. I love Jesus and need Him in my life especially in trials and stormy situation. Seeking God’s intervention to transform my life that pleases Him. Pray that I will have a financial blessing from God and not from other sources. Jesus I trust in You. Please pray for me and my daughter Jordyn’s relationship to be healed. Could you please pray she give up alcohol and cigarettes. Michelle and God bless you for this site!! Prayer healing in my marriage and healing in jesus name. That God would send christan man that love the lord god with all their heart and would talk to my husband. And give him godly advice about marriage. Praying for your financial prosperity James. Praying for your finances Shaji.